So I started this project a while ago, back when the big snowstorm hit the Northeast in March. As I watched the snow come pouring down by the foot, I turned my artistic eye to the future of spring and warm weather, and landed upon the idea of another fox-inspired piece, this time in my current media of choice: colored pencil. 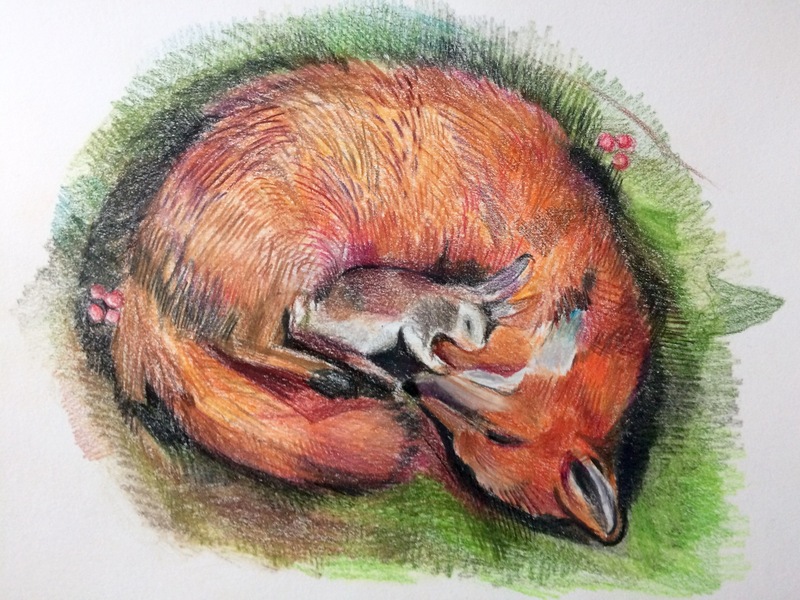 The drawing you see now is the result of a combination of this fox-love and an image that inspired me on Pinterest. 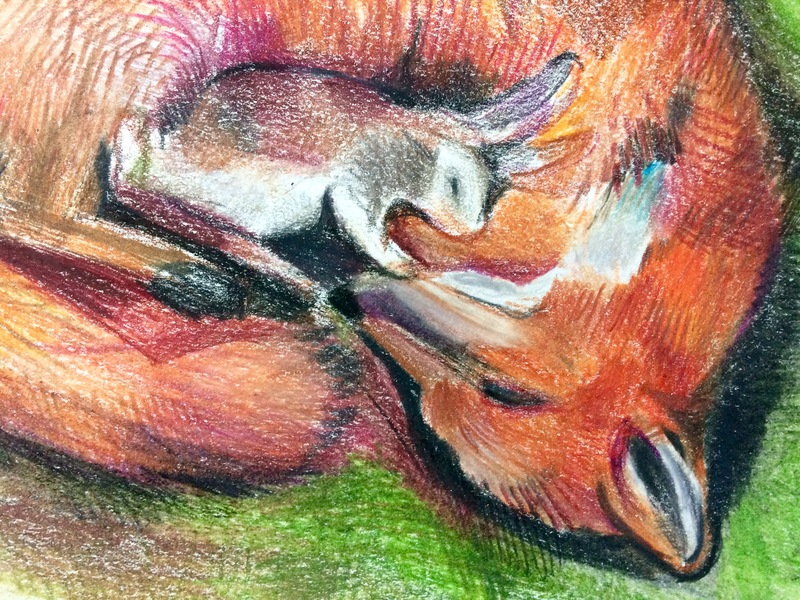 Andy laughs every time I show him this drawing, reminding me that foxes and lagomorphs don’t play well together, and pointing out that the photograph I found was probably featuring a predator sleeping with its prey. Despite this bit of scientific fact, I wanted my drawing to display the opposite, providing viewers with a sense of tranquility. Looking upon this piece, I wanted people to believe that these two creatures could be curled up together in the forest, not as diner and dinner, but as unlikely friends. I can only hope that the radial symmetry, texture and color palette of this drawing have had this desired effect. I know that this piece certainly helped me through a storm (literally) and it might even find its way into my office space at work.